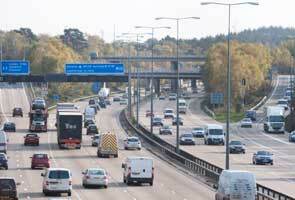 Summary and street-level traffic data road-links on the motorway, 'A' road and minor road network in Great Britain. Use this website to find information about the road traffic statistics collected over the last 18 years. The data published on this website makes it available to the public, specialists and charities. The latest information available covers 2017. 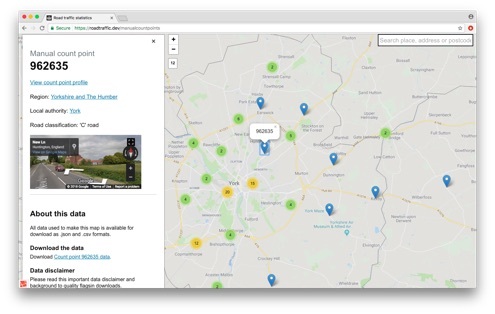 As part of producing the Department for Transport's annual road traffic statistics publications, vehicle count data is collected at a sample of locations across Great Britain. The data are available to download at region, local authority and count point level. For more information about the traffic data and how it is collected, see the guidance on the GOV.UK traffic statistics web pages. Contact the team if you have any questions about the information and data published on this service. This website is built and supported by the road traffic statistics team.